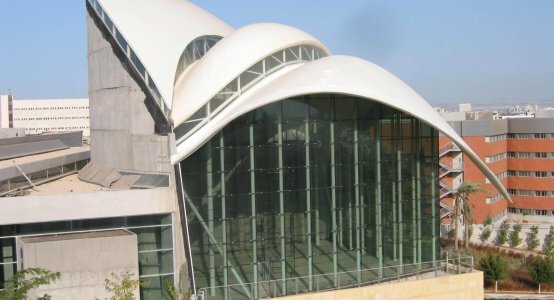 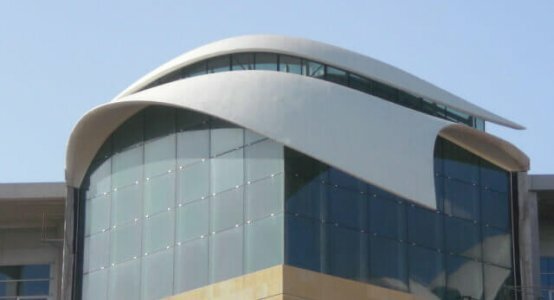 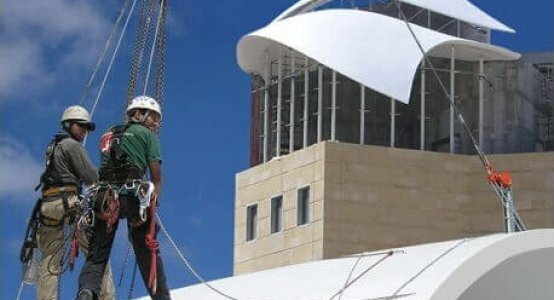 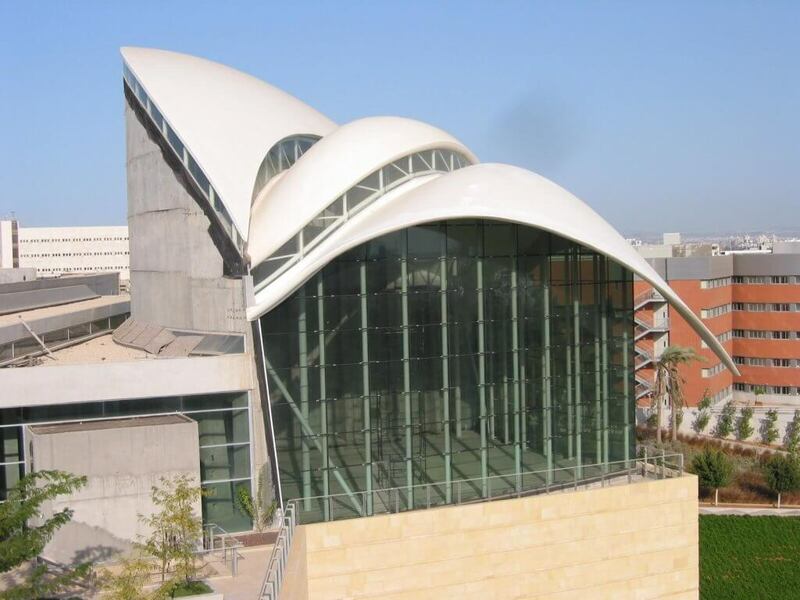 Specifics:The total surface area was 4,640 m ² on a self-supporting and double curved composite roof. 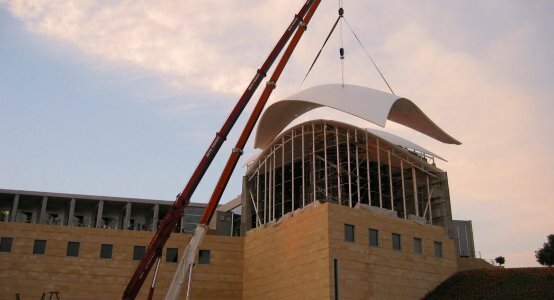 The construction starts as a structural roof construction, and ends in a far-reaching and free-hanging façade. 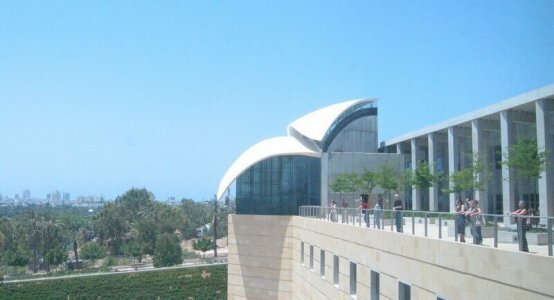 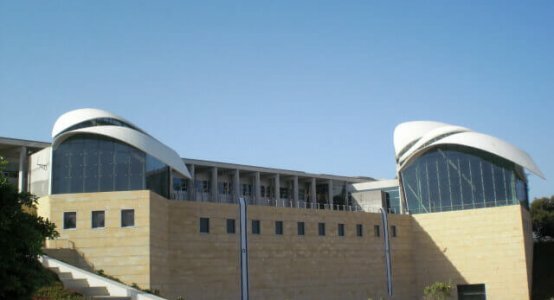 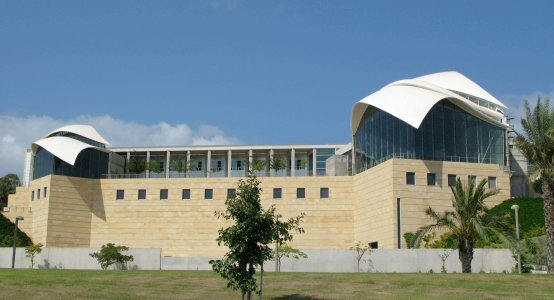 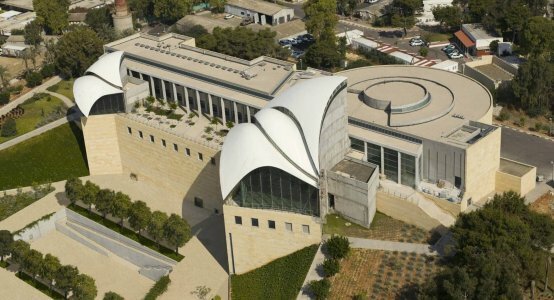 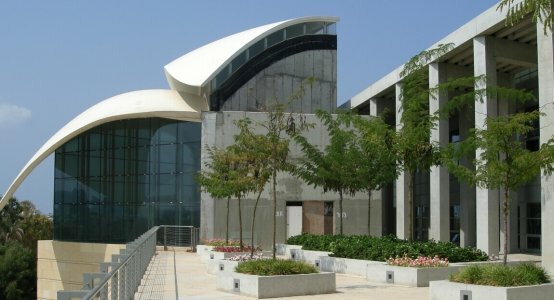 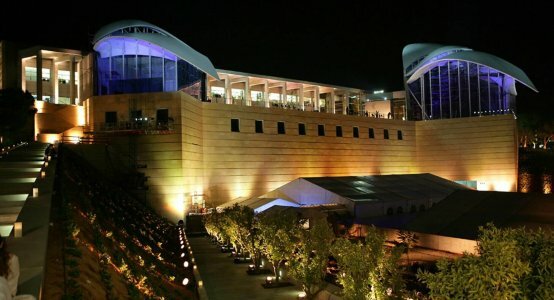 The Yitzhak Rabin Center is a library and research center in Tel Aviv, Israel, which was built in memory of the murdered Israeli Prime Minister Yitzhak Rabin. 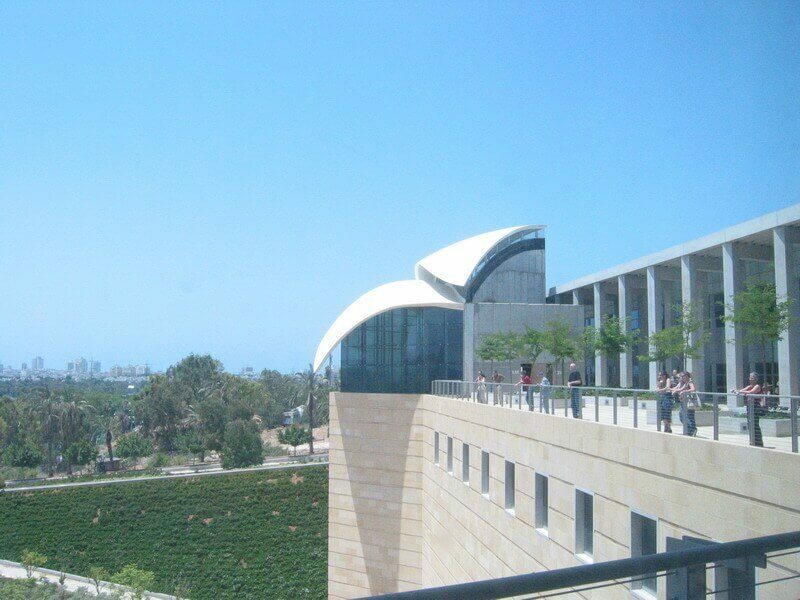 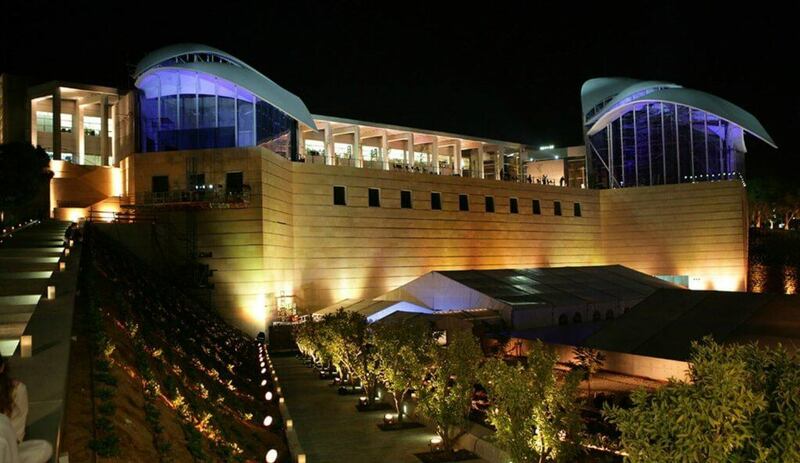 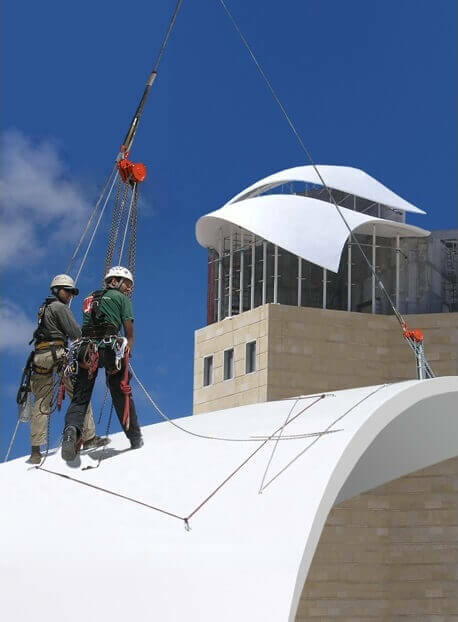 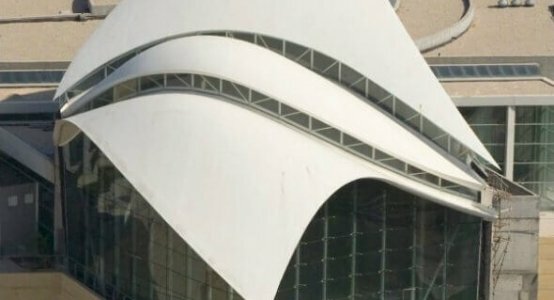 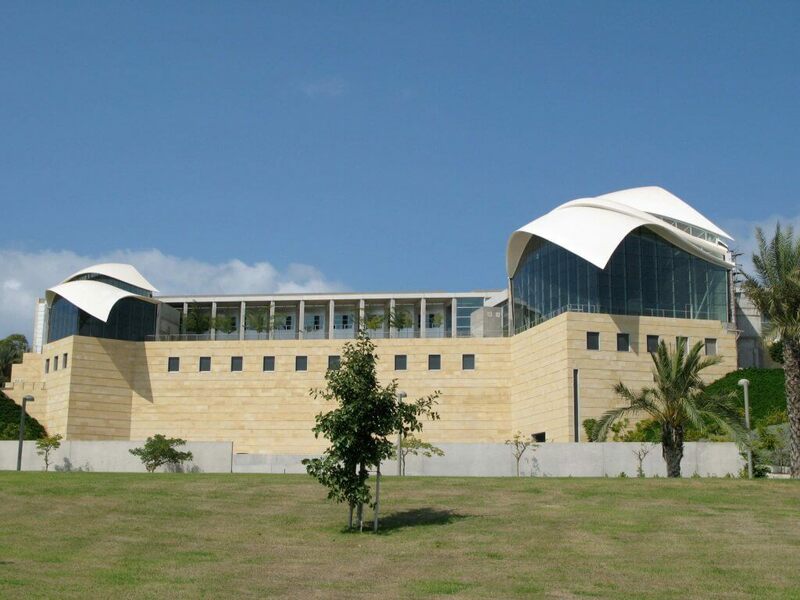 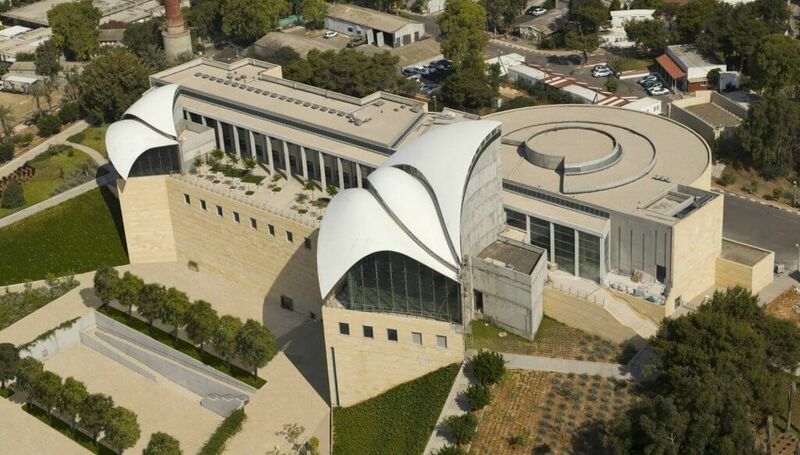 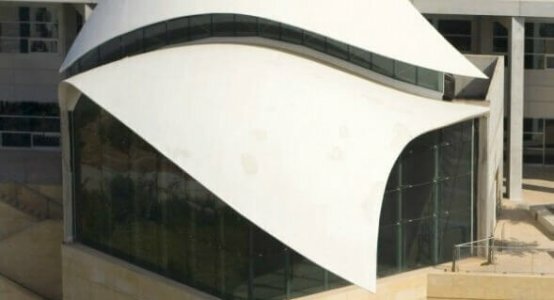 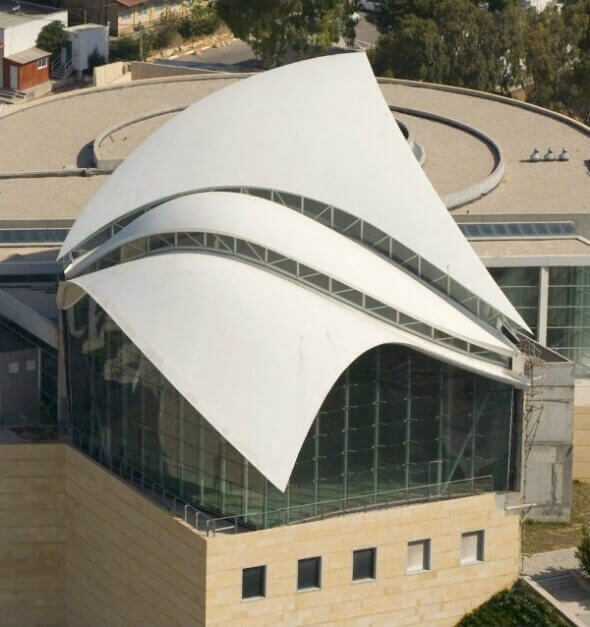 The Yitzhak Rabin Center was designed by the renowned Isreal architect Moshe Safdie and is located on a hill with a beautiful panoramic view of Tel Aviv and Hayarkon Park. 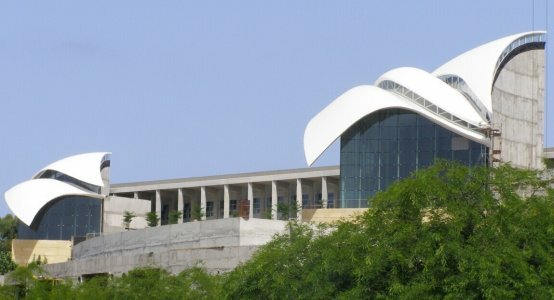 The roofs on both ends of the building symbolize peace pigeons. 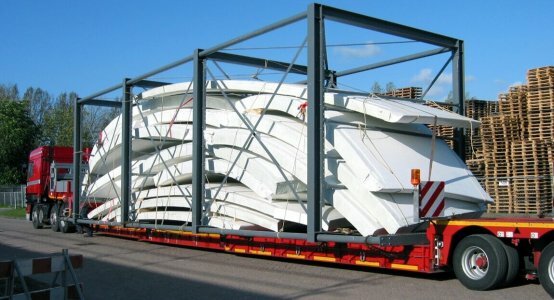 Holland Composites has produced these roofs and delivered them locally. 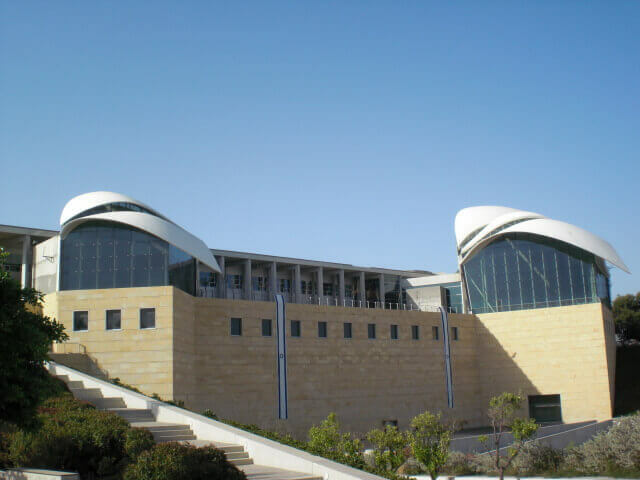 Big, difficult and far away, but succeeded. 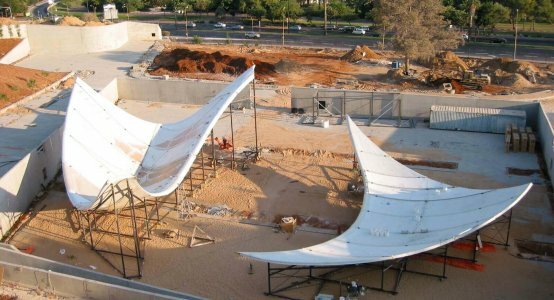 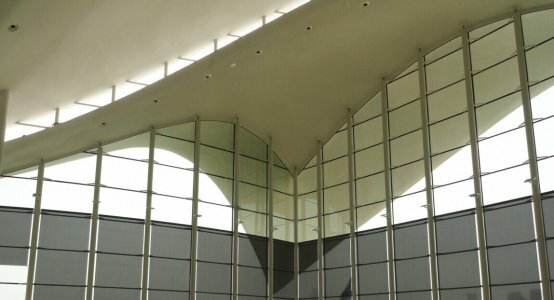 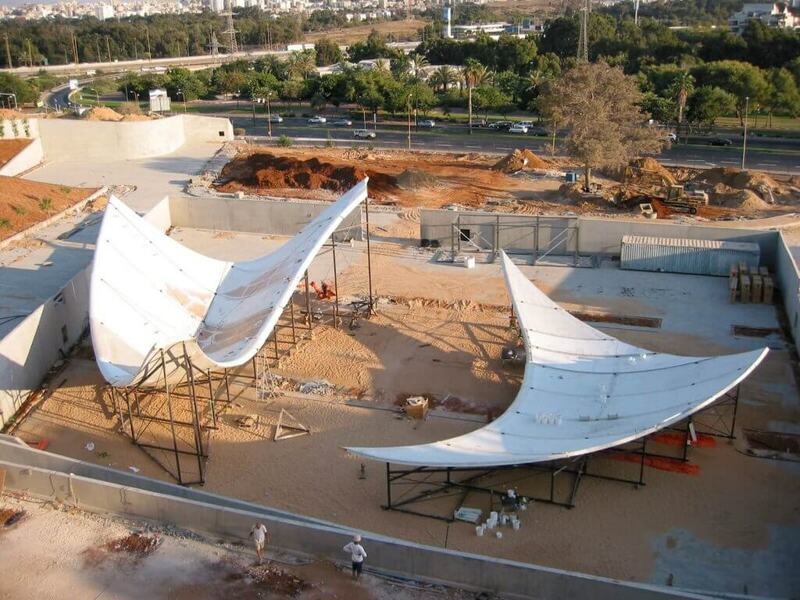 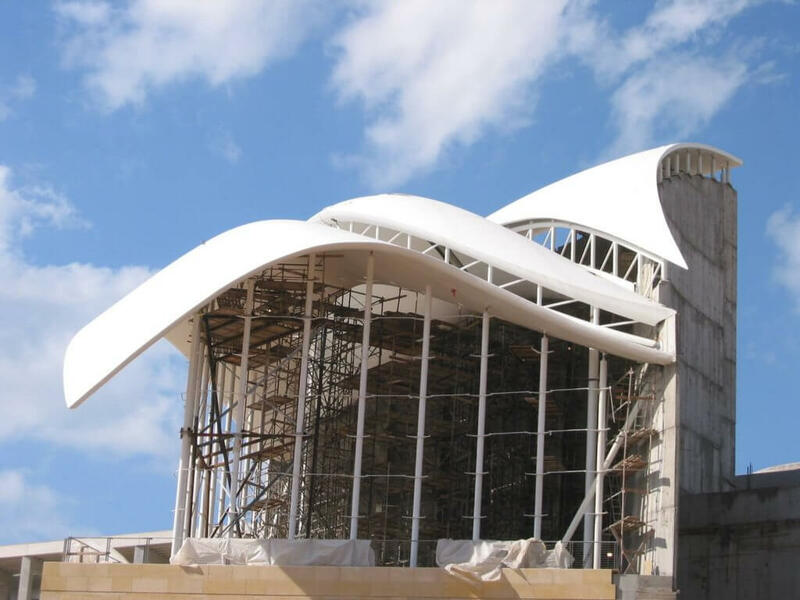 The total surface area was 4640 m² on a self-supporting and double-curved roof. 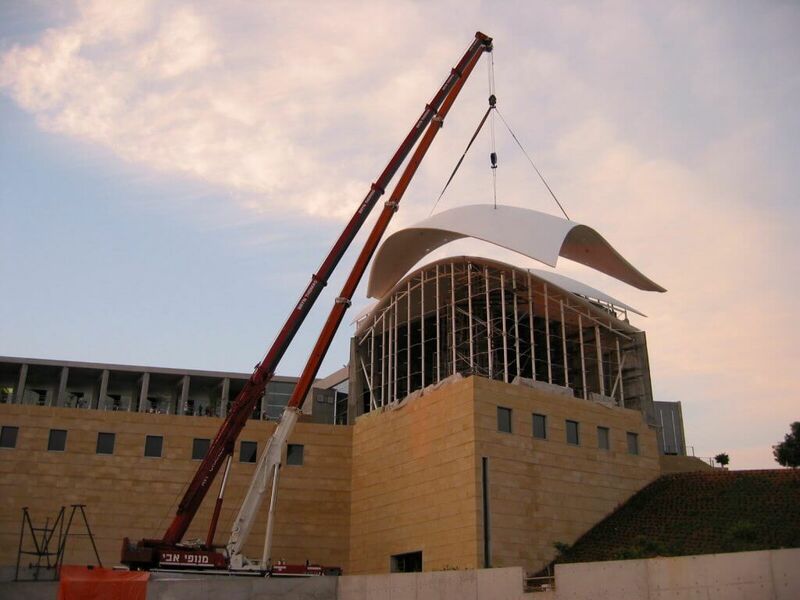 The construction starts as a structural roof construction, and ends in a far-reaching and free-hanging façade. 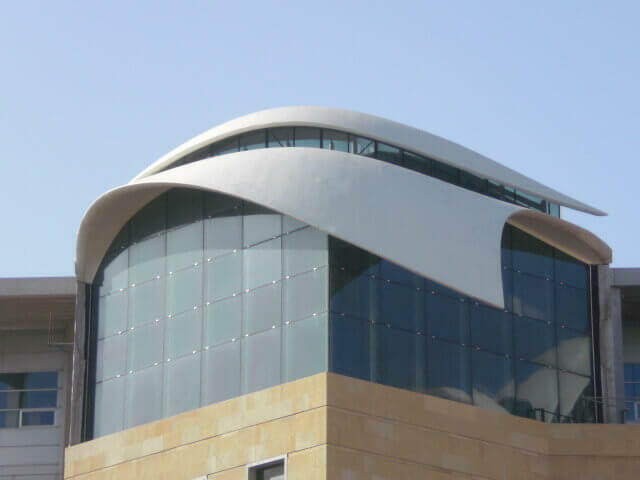 It concerns a curved construction of several complex roof shells, varying in thickness from 200 to 300 mm. 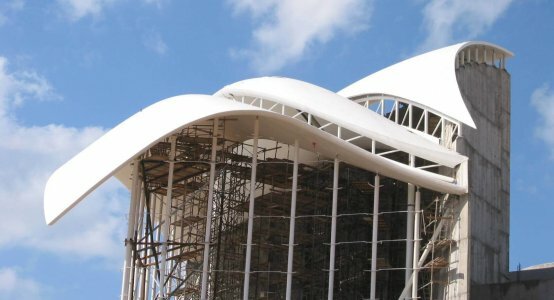 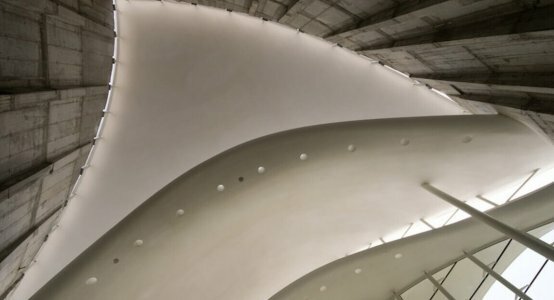 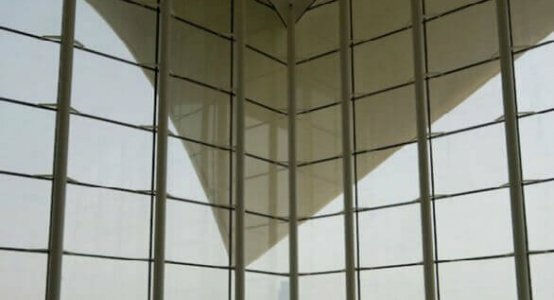 The total roof consists of 75 unique composite elements that have been glued and finished on site. 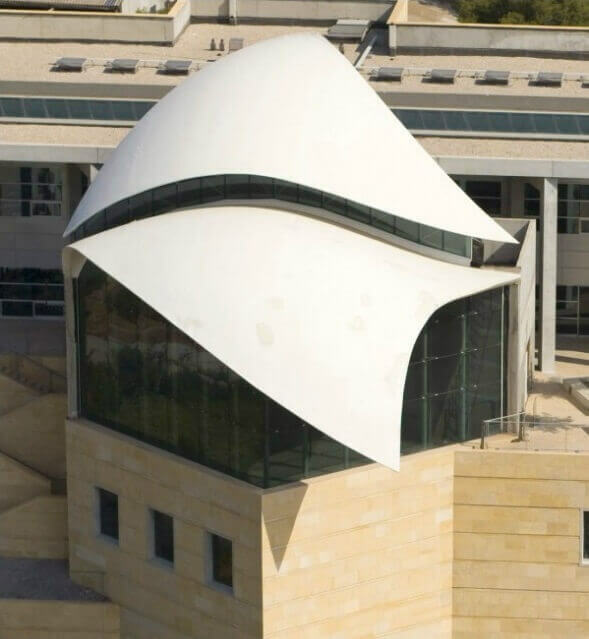 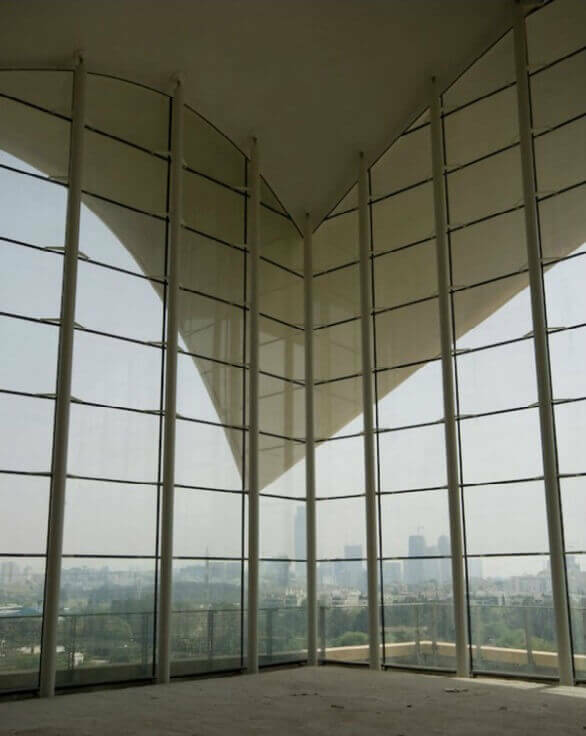 These cantilevered composite sandwich wing roofs have a maximum span of 31 meters where one of the points has a free overhang of 9 meters. 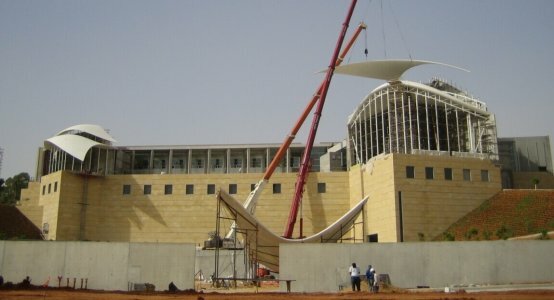 The delivery was already several years ago, in 2005 and exactly ten years after the attack on the prime minister.